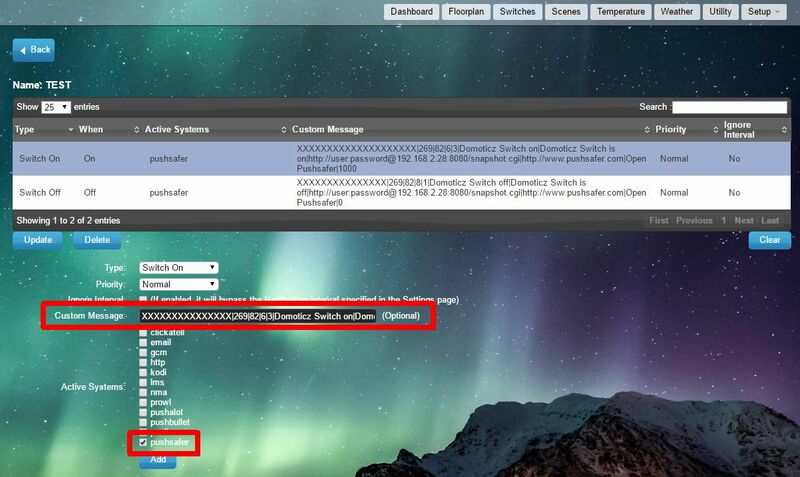 The Pushsafer Notification-Plugin is preinstalled from version 3.5687. 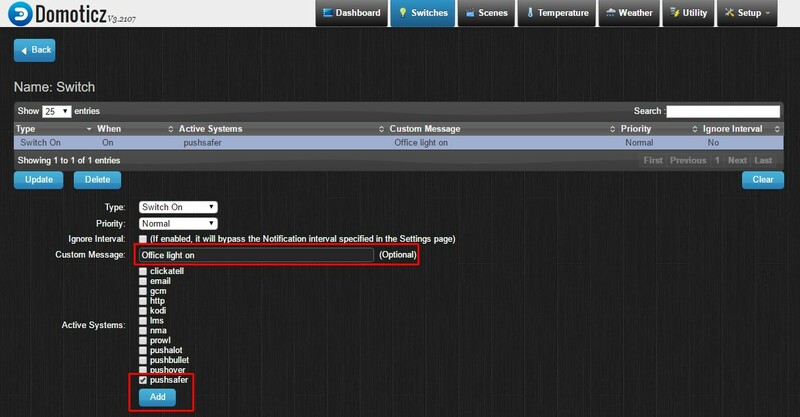 To customize your notification to your fit, you can enter Pushsafer parameters in the Custom Message field. 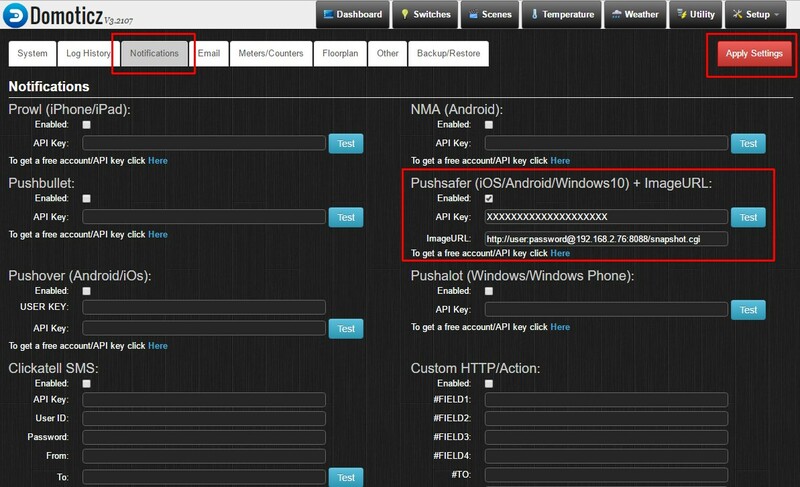 The following parameters are available and must always be entered separately in this order by a PIPE character! The domoticz priority is passed throught the pr parameter of pushsafer!